The Italian metro system (Metropolitana) is laid in such big cities as Rome, Milan, Naples, Catania, Turin, Genoa, Bari, and Palermo. Metro is the most comfortable way to move around the cities. In Rome, the metro opens at 5:30 a.m. and functions till 11:30 p.m. on weekdays and till 12:30 a.m. on Saturdays and Sundays, running with 4-5-minute intervals. The ticket for 75 minutes will cost you 1 €. There also exist tickets for 1 day - 4 €, 3 days - 12 €, a week, a month, and a year. 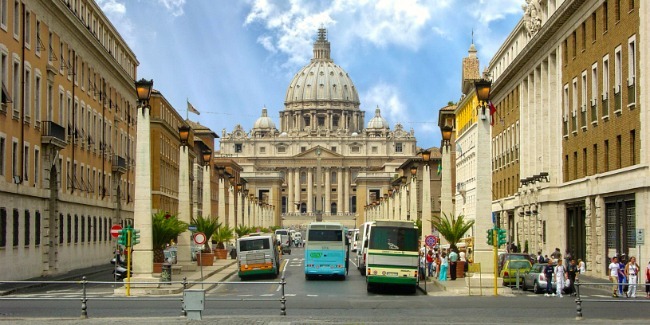 Practically every city in Italy has an extensive network of bus routes. However, you won’t succeed in trying to buy a ticket from the bus driver. In most major cities like Rome, Milan, and Florence, you should enter public transport, already having a ticket on hand. Unfortunately, the chance to find a ticket machine next to the bus stop is close to zero, which means you'll have to run to the nearest newspaper or tobacco kiosk. If you plan to move around Italian cities on Sunday, it will be wise to buy some tickets the day before in order not to spend a lot of time looking for a kiosk working on that day. And of course, don’t forget to validate your ticket when boarding a vehicle. We advise not to take risks and paying for the ride in time as the fines are quite high. The fine can be paid on the spot or at any post office within 2 months. If you do not pay the fine, it can cause problems with further travel around the Schengen zone. Venice is the only city in Italy which has its own unique public transport network with the only mean of transport, water bus (vaporetto), which runs from 6:30-8:00 a.m. to 8:00-10:00 p.m., depending on the route. Excursion vaporettos operate on the “Hop On-Hop Off” system, departing every half an hour. The cost of a 24-hour ticket is 25 euros. If you want to travel between Italian cities, there are several options including planes, trains and buses. Italian air transport is very developed, with an impressive network of airports throughout the country, but it is less popular than trains due to the higher costs. The best way to travel around central and northern Italy is fast and almost noiseless high-speed trains. As for buses, this mean of transport is quite developed as well, but each Italian region has its own bus operator which can cause certain difficulties with timetables.